You just want to plan a super fun birthday party for your child. A special day of celebrating that he will remember and look back on fondly when he’s older. Just like you had when you were younger. …But life is busy and you are running out of time to plan. …But you don’t have enough space at your house to host a bunch of kids inside if it rains. …But you can’t come up with party games all the kids (of different ages) can play. …But you don’t have the desire to spend hours baking and decorating a Pinterest-worthy cake. I get it. Sometimes it’s fun to plan kids birthday parties. To spend the time creating themed, age-appropriate games and making handmade coordinating favors. And sometimes it’s not. One of our kiddos has a beginning of the summer birthday. The same weekend as the end of school, my daughter’s dance recital, the baby’s baptism and our neighborhood’s end of school year pool party. I meant to come up with something cool for him so his special day didn’t lost in the shuffle. But the end of school year was crazy and time just got away from me. Luckily, today’s sponsor, Chuck E. Cheese’s came to the rescue. 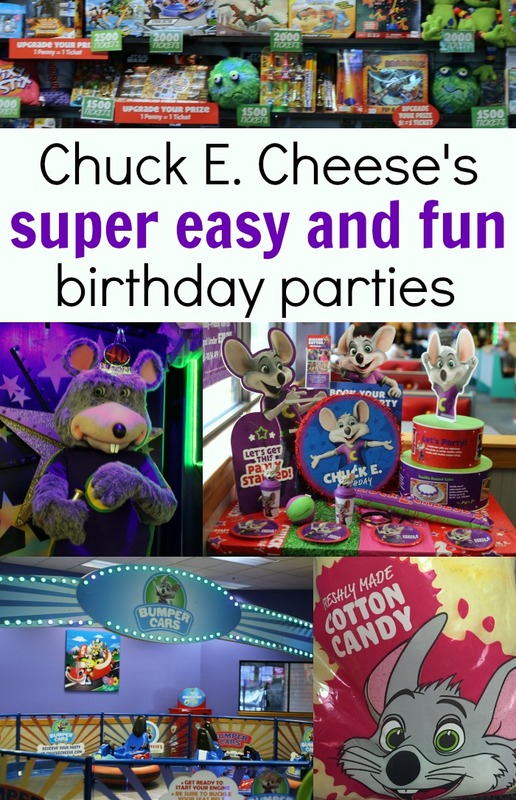 With just a few clicks of the mouse I had a fun birthday party planned in less than 10 minutes! There’s a reason Chuck E. Cheese’s is America’s number one place for birthdays. We were inviting a group of primarily 8 and 9 year olds at dinner time so chose the Eat More Play More birthday package to give the kids extra play points and pizza, but I loved that there were so many options to choose from. 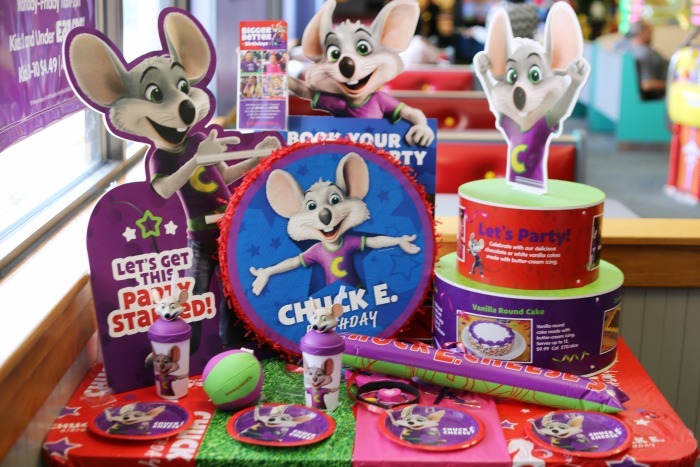 There is a Chuck E. Cheese’s birthday party package for everyone! chance to be in the birthday show and more! As a busy mom I loved how easy and comprehensive the Chuck E. Cheese’s online reservation system was! We were able to pick the party package we wanted as well as order a cake, ice cream and even food for the parents in just minutes. They even have coordinating email invitations you can personalize and send to your guests. Everything is organized and handled for you! VIP Birthday Party time slots. You can get the whole place to yourself when you reserve the earliest time slot on a Saturday or Sunday. New cake choices. Choose from chocolate or vanilla cakes with buttercream frosting or a Giant Warm Cookie. We LOVED the new cookie cake! Ice Cream-add ons. Dippin’ Dots and ice cream cups make the party even more fun. Play Passes. Chuck E. Cheese’s is slowly phasing out tokens in favor of Play Pass. It’s a programmable card that allows kids to move from game to game without having to worry about keeping track of tokens. Ours has this feature already and it was awesome. There are even stands the kids go to to check the card balance. The party was a hit with our birthday star and his guests! There were games and activities for every age and personality there. The Giant Warm Cookie and Dippin’ Dots were delicious and no one left hungry. They won lots of tickets they got to trade in for prizes and even left with bags full of cotton candy. And all I had to do was show up and have fun with the kids! 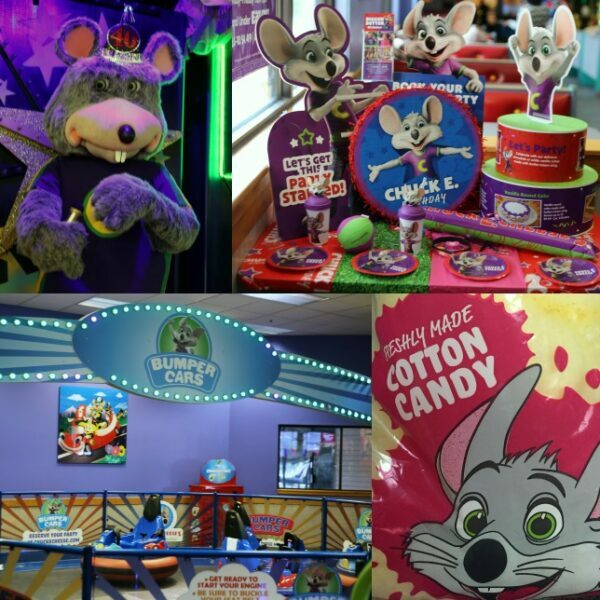 Follow Chuck E. Cheese’s on Facebook, Twitter, and Instagram to keep up with all the latest party fun! This is a sponsored conversation written by me on behalf of Chuck E Cheese’s. The opinions and text are all mine.